It’s been a hectic week with our school year finally, finally coming to a close (bad winter effect) and all that entails, as well as keeping up with the activities in the Making Learning Connected MOOC project. This week, as I have shared, we did a lot of hacking of toys and exploring some new tools. As I think back to the three projects that I worked on (pigs flying, lego heads rolling and reality augmented), I realize just how many times in each of those activities things fell apart on me. I wrote about my difficulty the other day about making an animated .gif file of a pig flying. From creating the file to hosting the file to sharing the file … every step was a hurdle, it seemed. Ack. When I was working on my Lego Head project, the first phase of operations was fine. I took photos of the heads on the tree. It was the second phase, when I wanted to use Comic Life to create a story using the images, that gave me difficulties. After spending a good chunk of time building the comic and creating the story, the Comic Life program not only refused to save the file, it also refused to export what I had done. Double ack. And finally, I played around with an augmented reality app called Aurasma. The making of an augmented layer was pretty straight-forward, but the sharing of it with others? Difficult. It turns out you need to create an online gallery, and I had to go through the creation of my project a second time just to make it work. Triple ack. And yet … and yet … frustrated as I was, I did not give up. I refused to let the technology, and my understanding of the technology, get in the way of doing what I wanted. Here, what saved me was the MOOC. Let me explain. For the Pigs Fly .gif, I was determined to finish what I started because I really wanted to share it within the MOOC community. I was motivated by the sense of the community, and I wanted to share my process out, too, in hopes that others might be motivated to try a stopmotion-ish kind of toy hacking activity. I did figure it out — using an app to create the gif and then sharing via Photobucket. And the result, at least partly from the flying pig, is an offshoot of folks now dabbling in stopmotion in the MOOC. For the Lego Head project, the second phase of the hack was crucial because I wanted to take the first phase — the images — and think about them as a pivot point for a literacy moment. In the MOOC, our work is beginning a slow shift from “play” to meaningful “play” and considering reflection on how our activities connect to our classrooms. I was not happy with Comic Life, to say the least, and had to step away from the computer for a stretch while I thought it through. My workaround here was to take screenshots of my comic frames, and then host them as individual shots in Flickr. I lost some resolution but at least I did not lose the entire project. But it was the MOOC that kept me going, particularly as folks responded to the initial photos with questions about what the story was. I was determined to tell the story. And with Aurasma, most of all, I turned directly to friends in the MOOC itself, getting advice via Twitter on how to proceed and make the app work for me. Over the course of a day, I kept asking questions and folks kept responding with answers and links and advice, and eventually, I did figure it out. I think. That might not have happened without the connections within the networked community itself, and I am grateful. This all connects to a discussion that emerged in the MOOC this week, too, about “failure” and “iteration” in online spaces, and how we need to nurture perseverance and grit within ourselves, and our students, and how we need to connect to those around us for assistance and help along the way. When I think of the principles of Connected Learning, which the MOOC is built upon, these ideas seem to align nicely, particularly around shared purpose, openly networked spaces, interest-driven activities and peer-supported communities and connections. We can fail, and that’s OK, as long we can learn from the experience and find ways around those failures, and sometimes that learning takes place within communities that we co-construct together. The Making Learning Connected MOOC is one such place. 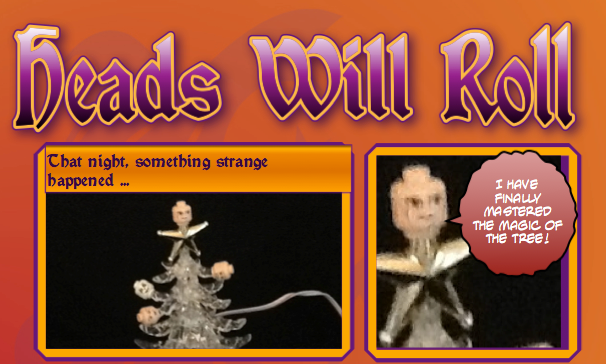 This entry was posted in CLMOOC and tagged #clmooc. Bookmark the permalink. Yes! I have been failing as well, all week long, and the result is still a failure but as you wrote, “And yet … and yet … frustrated as I was, I did not give up. I refused to let the technology, and my understanding of the technology, get in the way of doing what I wanted.”! I shared with you my struggle in finding a translation program for our report cards. I continue to run into problem after problem because the cards have a strong format requirement, they are pdfs, I don’t have MS Office on my new computer, just odt from Open Office as a conversion option, and I’m new to Windows 8. The real bugger in this process was the tag-along programs that jumped onto my new computer when I downloaded “Free” online software. I spent hours researching how to remove these sticking programs from my system. 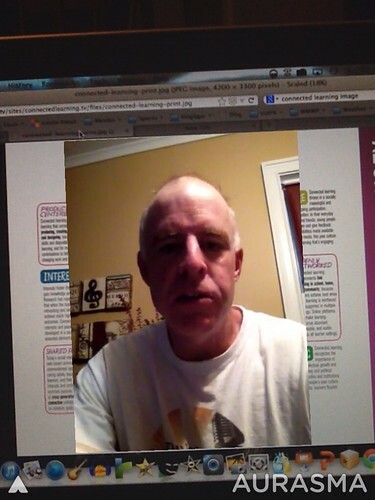 My brainstorm came when I remembered our blogging buddy @Larry Ferlazzo who is working with ELL students every day. Alas, even he did not have a suggestion apart from the ones I had tried. In fact, he offered me a guest post spot explaining the process I was going through. (I’ve lost track of most of the programs and troubles – too numerous to keep in my head.) While I have not found success, I have learned and continue to learn a great deal through the long process. Thanks for sharing the importance of failure and how we as teachers and learners have to embrace it for its opportunities. I’ll look forward to your post with Larry, Gail.